It’s always great to hear directly from customers describing how they are using your software and where they are recognizing value. In the attached white paper, Arlo Murphy, Director of Business Intelligence and Audience Services at ITWorldCanada.com, the leading source of IT news in Canada since the 1980s, describes how instrumental Informer’s data analysis and business intelligence is in delivering highly successful marketing campaigns on behalf of IT World Canada’s clients looking to promote their products and services to targeted segments within its subscriber base. “We rely on Informer’s powerful reporting and dashboard functionality to keep us on top of all of our campaigns so that we can deliver every registration to every client on time”, said Arlo Murphy. •	Report Generation. Informer is used to generate both the lists of people to target, based on demographic information, past history and other data that is stored across several databases, and to generate lists of qualified registrations for clients. •	Decision Support. An Informer Dashboard provides near-real-time status on all campaigns. 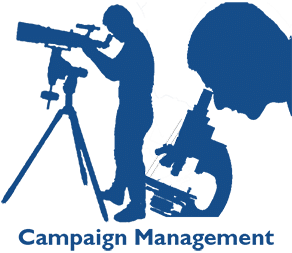 This enables IT World Canada to determine which campaigns are healthy and which require intervention to fix problems with campaigns before they fail. •	Business Process Management. The Dashboard is also used as a task manager to see what needs to be done and as a hub to manage access to all other tools”. We hope you enjoy reading this highly insightful paper and gain additional insight into how you can expand your use of Informer to achieve your goals.